Texas will be hosting two international friendlies in April as Russia will take on the United States Women’s National Team (USWNT). The first match will be at Toyota Stadium in Frisco on April 6th while the second will be at BBVA Compass Stadium in Houston three days later, April 9th. The matches take place right before the start of the National Women’s Soccer League (NWSL) season begins, allowing hype to build ahead of what will be an historic fifth season for the NWSL and women’s soccer in the United States. 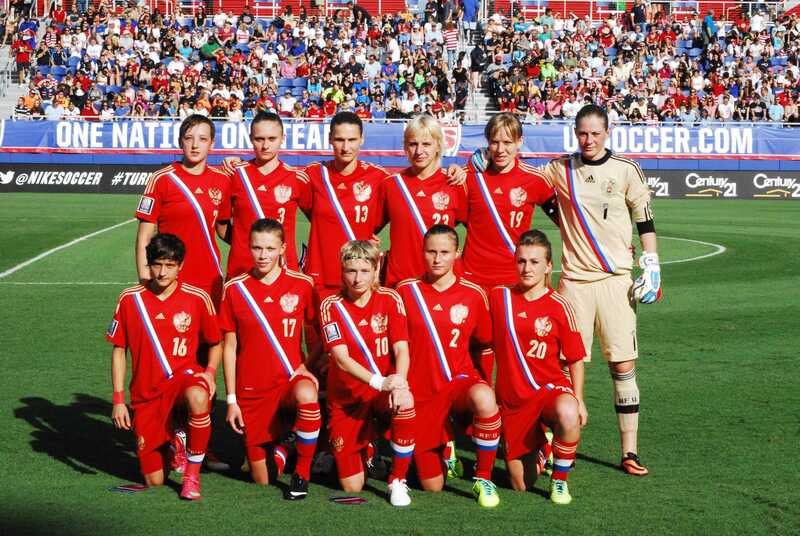 For Russia the matches are vital preparation as they prepare to compete in the 2017 Women’s Euros. The task for Russia in the Netherlands will be difficult as they have to take on Germany, Italy and Sweden in Group B, having played Germany in qualifying behind them as the second place side in Group 5. 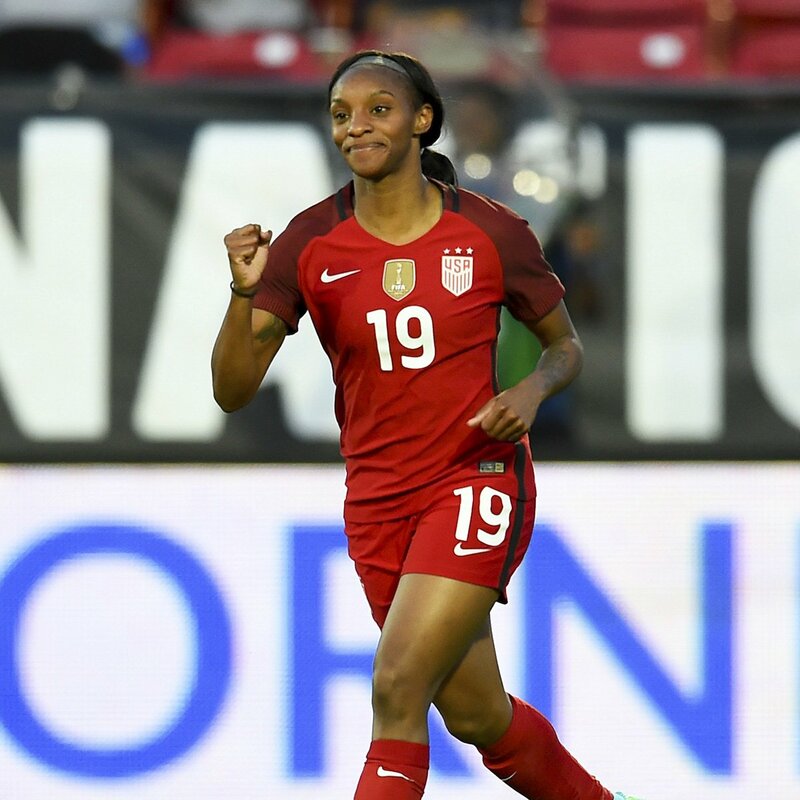 While the United States will be using the matches against Russia as preparation for their hosted tournament, the SheBelieves Cup. That tournament will bring strong teams as German, France and England will come to US soil. As is so often the case with the USWNT they have a strong record against Russia, having won seven matches and one draw against them. The two teams last played in 2014 when the United States won a double header series 7-0 and 8-0. The UNSWNT has an incredible record in Texas, having won every match they have ever played in the state. At Toyota Stadium they have won all three matches, beating Canada 6-2 and 1-0 in 2007 and 2014 while they beat New Zealand 2-1 in 2012. At BBVA Compass Stadium they have won the only match they played there beating China 4-0 in 2012. The average attendance in matches in Texas is 13,170. This could well be the last chance fans in Texas will have to see a United States national team play, due to the discriminatory SB6 that will be going before the state legislature. A similar bill in North Carolina cost them all NCAA events, and while US Soccer didn’t take events away from North Carolina, US Soccer president Sunil Gulati suggested that they would not give matches to the state due to the law. “Given the legislation, I’ve asked the people who handle our games to reconsider,” he said in a Washington Post interview. That may be why these matches were announced now, to get the matches scheduled before SB6 passes to have a defense when that measure passes. Houston Dash has had three players selected by US Women’s National Team (USWNT) coach, Jill Ellis for the January Training Camp. Carli Lloyd, Morgan Brian and Kealia Ohai have all been selected in the 29 woman squad named by Jill Ellis on Wednesday. With no matches scheduled for January the camp will present the primary opportunity for players to impress Ellis without NWSL play. Despite there being no new Collective Bargaining Agreement the players and US Soccer have agreed to continue under the previous agreement, meaning players will be able to attend the camp without fear of being ostracized by senior members of the team. Lloyd was a certain call up as the captain of the side, having earned 232 caps for the United States. In that time Lloyd has scored 96 international goals, the most among active USWNT players and the sixth most of all time. Brian has continued to excel for the USWNT in recent years and continues to become a regular selection for the USWNT. Brian has earned 63 caps, excelling in 2016 and has starred for the Dash with 13 appearances. Ohai’s selection continues her rise in to international soccer, after earning her first cap in October. It was a phenomenal season from Ohai in the NWSL this year as she led the goal scoring race with 11 goals through the season. After finally getting selected in October Ohai immediately set about proving that selection was long overdue. It took Ohai just 48 seconds to score her first full international goal scoring against Switzerland in Minneapolis starting what is sure to be a long international career. The training camp gets under way on January 13th and will take place at the US Soccer National Training Center at Carson, CA. That camp will run at the same time as an Under 23 camp and starts just days after a camp for the senior men’s national team, putting three of America’s national teams in one space. The unsurprising results continued at the CONCAF Olympic Qualifying tournament as the United States claimed the title with a 2-0 win over Canada at BBVA Compass Stadium on Sunday afternoon. The result keeps the United States undefeated in CONCACAF Olympic Qualifying, and means that their first match for 2020 will no doubt see them cross 100 goals in Olympic Qualifying. It was a dominant performance for the United States, but Canada’s defense was also solid, stopping the Americans from finding goals until the second half. Perhaps reflecting the relatively meaningless nature of this final, Canada’s manager, John Herdman rested Christine Sinclair, to give Deanne Rose some incredible exposure and also resting starting keeper, Erin McLeod. On the other hand Jill Ellis persisted with her side from the semifinal, a mostly full strength American side. The first half was kept tight as the two sides held on well defensively to keep each other out, but it was the United States with the best chances. But despite that there was no real clear cut chance for either side, keeping it scoreless at the break. It took just eight minutes in to the second half for the goal to finally come after a clearance fell to Becky Sauerbrunn. That allowed Sauerbrunn to send in a cross from 40 yards, finding Lindsey Horan, who headed it past the keeper. Just after the hour mark the United States were able to double their lead thanks to another impressive display from Mallory Pugh. Pugh made a great run down the left side of the box and switched for Tobin Heath who hit a shot powerfully in to the top right corner to give the World Champions a cushion. Canada had their first really clear cut chance of the match in the 71st minute, and if not for Hope Solo could have pulled a goal back. The chance came through Melissa Tancredi who hit a powerful shot which forced Solo to make a diving save, keeping it 2-0 for the US win. The United States will be in Rio to defend their Gold Medal after a 5-0 win over Trinidad and Tobago at BBVA Compass Stadium on Friday night sealed their passage to the tournament. Alex Morgan was the star, managing a hat-trick in a clinical performance from the World Champions. After it was tight in the early minutes the USA opened the scoring in the 12th minute through Tobin Heath. After a great run in the box, Heath was able to get on the end of a perfect ball from Mallory Pugh, allowing Heath to send it past Kimika Forbes. That goal led to the match being all USA from that point on as the World Champions controlled proceedings. Wave after wave of US attack came at the Trinidad and Tobago goal, but Kimika Forbes was up to the task. The second goal finally came after the half hour, as the USA broke through to double their advantage through Morgan. Kelley O’Hara sent in a cross for Lindsey Horan, allowing Horan to head the ball back for Morgan to hit on the run, past Forbes and in to the back of the net. If those goals didn’t seal things, Carli Lloyd, on her home ground, did so just before the break as she put USA three goals up. Morgan Brian sent in a corner, which found her captain, allowing Lloyd to head through Forbes’ arms, making it 3-0 at the break. The second half, saw the United States just look to control possession and keep hold of their big lead to qualify for Rio. Trinidad and Tobago never really looked in the match, with the USA holding all of the possession. USA had their fourth in the 71st minute, putting it away after the ball was bouncing around in the box. Samantha Mewis’ header was blocked by Jenelle Cunningham, falling to Morgan, who returned the header, only for Cunningham to head the ball on to the bar. The rebound fell for Morgan yet again, and this time she buried the chance, tapping it in from close range. It took just two minutes for the final goal of the match to come as Morgan sealed her hat-trick thanks to a Brian cross. Brian’s ball was perfectly weighted, finding the great run of Morgan, who was able to easily send it in to the back of the net. Needing plenty of goals to go to the top of the standings, the USA was forced to open up on Costa Rica and the World Champions showed no mercy. USA defeated Costa Rica 5-0 at Toyota Stadium in Frisco on Tuesday night to get a perfect start to their Olympic qualifying campaign. The match started brightly with Alex Morgan setting a record for the fastest goal scored in CONCACAF Olympic Qualifying history. From the kickoff, Lindsey Horan sent a long ball down to Carli Lloyd, who flicked it over the defense for Morgan to hold off her defender and shoot powerfully in to the back of the net, for not just the fastest goal in tournament history but also the fastest in USWNT history. After a decent attempt at a comeback from Costa Rica, lead by Raquel Rodriquez Cedeno, the USA was 2-0 up in the ninth minute. Melissa Herrera fouled Crystal Dunn just inside the box, allowing new captain, Lloyd to bury the penalty. Quickly it was 3-0 for the United States as a Becky Sauerbrunn long throw unlocked the Costa Rican defense. That allowed Horan to head a ball to Morgan, whose shot was saved by Diannia Diaz, only for Crystal Dunn to run on to the rebound that was well saved again by Diaz but sent back in to the net by Dunn. After such a frantic start to the match, things calmed down with some better defense by Costa Rica, but with such a deficit it was always going to be difficult. USA was still on top but some impressive goalkeeping from Dinnia Diaz kept the score down to 3-0 at halftime. It was a tight start to the second half but the United States quickly took charge of the match, but it took until the 62nd minute for a goal to come. Lloyd managed to dribble in to the box and then chipped the ball to Morgan, who easily headed home from close range. The Americans made substitutions after that goal, trying to give more players game time, and that saw those players look to keep the United States attacking. There were plenty of chances for the USA but wayward shooting and good keeping kept out the World Champions. The final goal came in the 83rd minute after a cross from Tobin Heath found Christen Press with her back to goal. Press settled the ball and was able to turn her defender and slam home the goal from close range, sealing the big win for the United States.